The Galaxy Home will be powered by Samsung’s artificial-intelligence voice assistant, Bixby, for voice commands. The “smart” part comes from Samsung’s Bixby artificial-intelligence voice assistant. 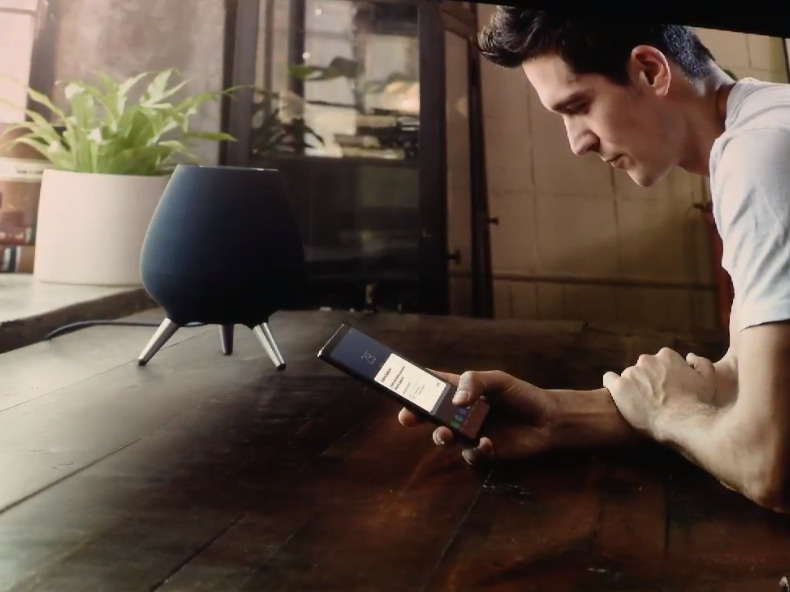 Much as with Amazon’s Alexa, Google’s Assistant, and Apple’s Siri, Bixby is designed to answer questions and perform voice-activated tasks. So far, Bixby hasn’t received the most positive reviews compared with its competition. Samsung announced several improvements to Bixby during its Thursday event, but it feels as if the company is playing catch-up with Google, Amazon, and even Apple’s Siri. 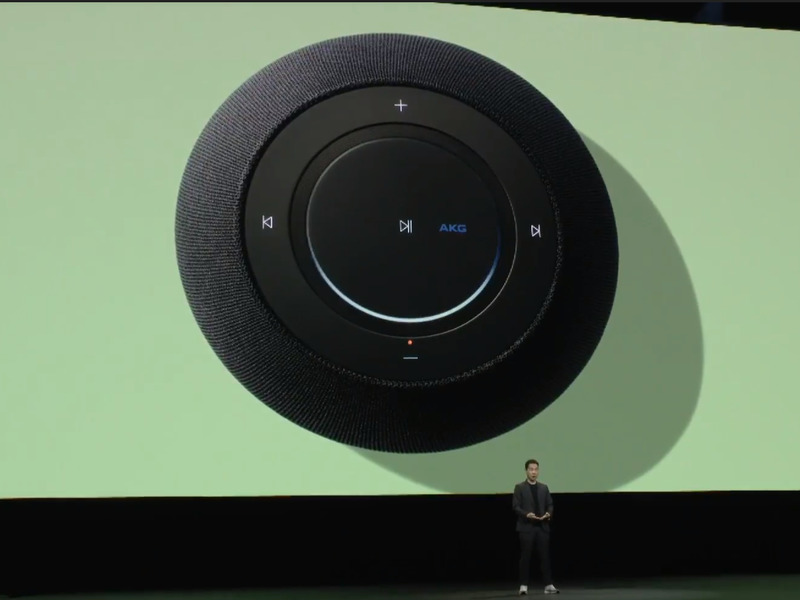 Design-wise, it seemingly sports a fabric exterior in shape that is somewhat similar to Apple’s HomePod. The major difference is the tripod stand. From the photos during Samsung’s event, it looks as if it could be a fairly large device. 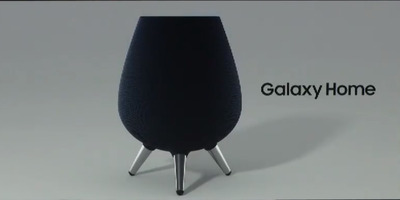 Samsung didn’t reveal much about the Galaxy Home during its event. More details are expected in November during the Samsung Developer Conference.